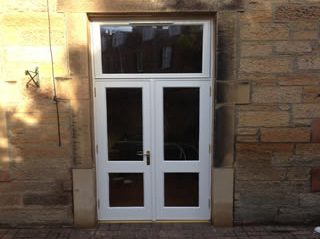 A custom built wooden white French Door which the client designed. Allowing better light into their property and keeping the house warm in the winter. 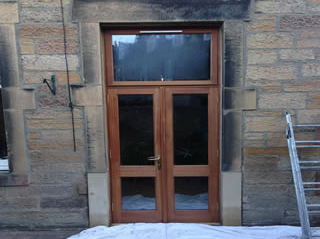 A wooden French door fitted nicely into the traditional property in Edinburgh, tailored to allow the sun light enter but also keep the property warm and draft proof. 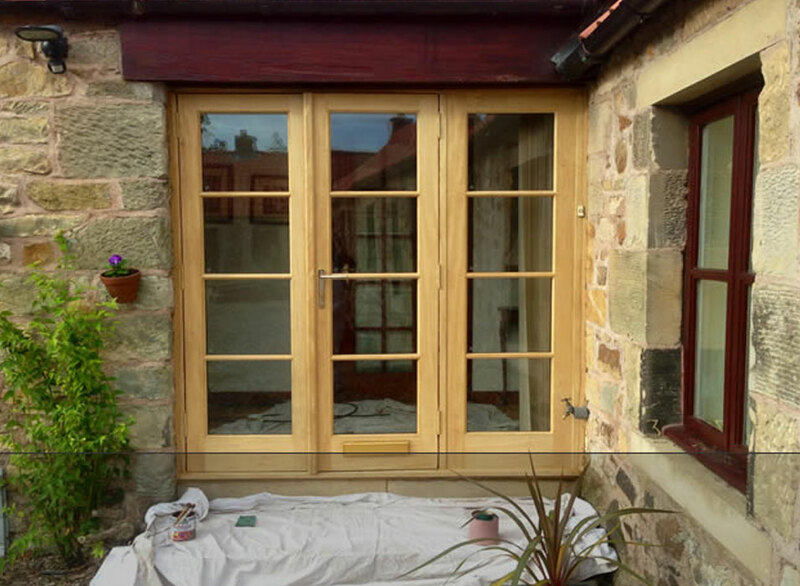 At Illingworth Brothers we design, manufacture and install beautiful Bi Fold doors for many different kinds of buildings in Edinburgh, Lothian and throughout Scotland. Bi Fold doors are an attractive and modern alternative to sliding patio doors. While sliding patio doors can provide a useful solution, they fail to create the space that Bi Fold doors are able to generate. While patio doors can only open half way, Bi Fold doors open fully thus creating a feeling of wide open space. You will find that Illingworth bifold doors create an effect that can only be described as stunning. When they are open your indoor living space and your garden merge into one and add a new dimension to open plan living. By installing our Timber & Aluminium Bi Fold doors you will add character and individuality to your home. By bringing the outside in they create an open space that is functional and ideal for living, working and entertaining. With virtually no maintenance requirements they will always look great. 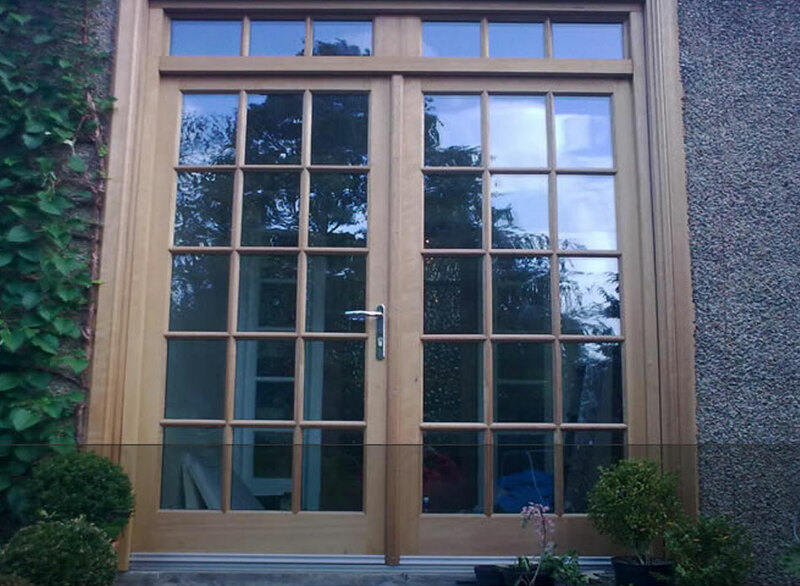 With over 60 years of experience in our craft, we are able to create the perfect wooden Bi Fold doors for your home. Whether your property is modern or traditional, our wooden Bi Fold doors will add style that will complement your home and add to its value. There are various design options from which you can choose and we will work closely with you to ensure the very best results. We can supply standard sizes or make them to your specific requirements. With the maximum amount of visible glass, your room will be flooded with natural light, and when open there will be a clear opening that could be as much as 90 percent of the overall space. If you are interested in investigating the potential difference that modern Bi Fold doors can make to your home, and why our customers are choosing Bi Fold doors , why not talk with one of our experts who will be more than happy to answer your questions. Just phone us on 0131 623 7303. If you have any queries on any of our services, one of our experts will be happy to talk to you and can answer any of your questions. Why visit costly staged showrooms when you can visit our factory to see your consistent outstanding quality products being made by our careful & experienced tradesmen for yourself. All the timber that we use is sourced from "Sustainable Forestry". More trees are planted than are used. Our glass is low emissivity (Low E) argon filled keeping the heat inside and the cold outside. Using warm edge technology which offers the lowest u values in the market today.